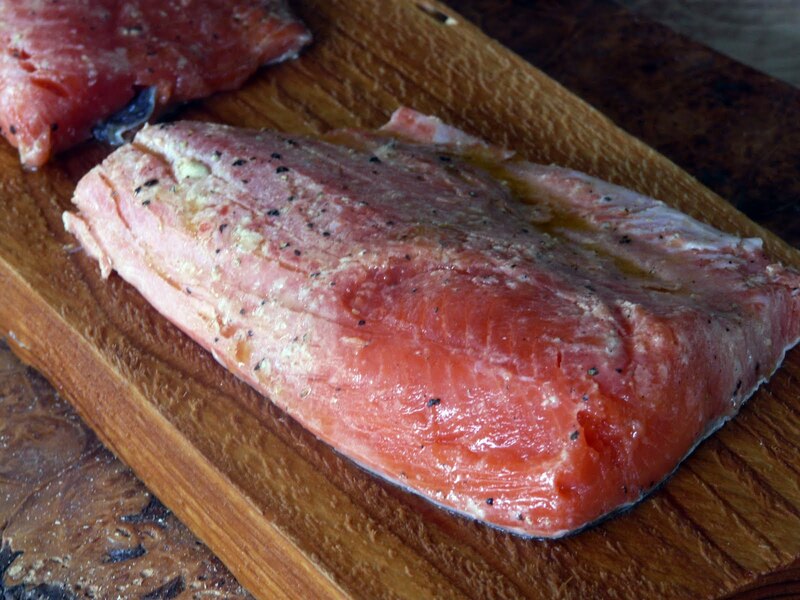 Our friend Bud, gave us a Sockeye Salmon. Too big for one meal so I cooked half of it for dinner and the other half is in the freezer. I also got a piece of cedar from Bud. I was going to get Moe to sand it, but since I was putting the fish on it skin side down I figured it didn't matter much. I boned out the salmon for two nice size fillets. 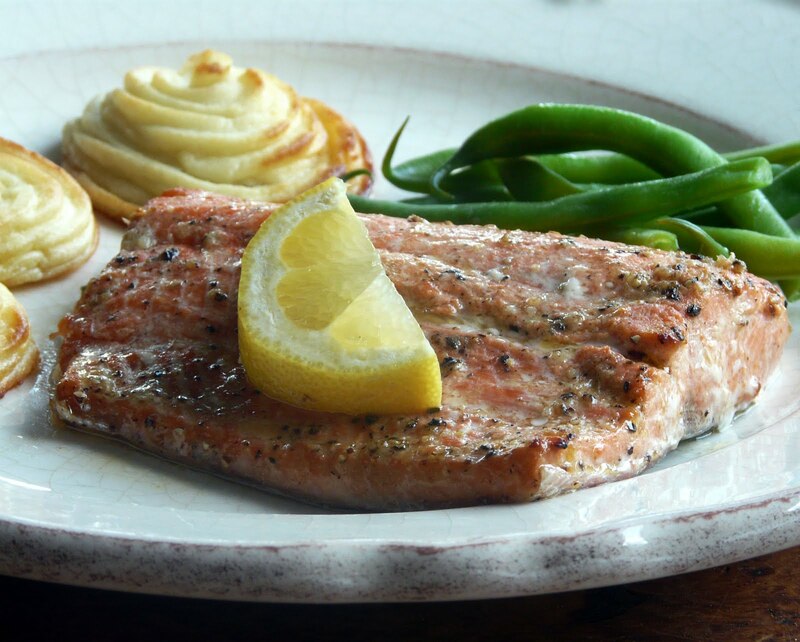 The fish was rubbed with a mixture of fresh garlic, olive oil and lemon juice, salt and pepper and left in the fridge for about 30 minutes. Any longer and the lemon would have started to cook the fish. 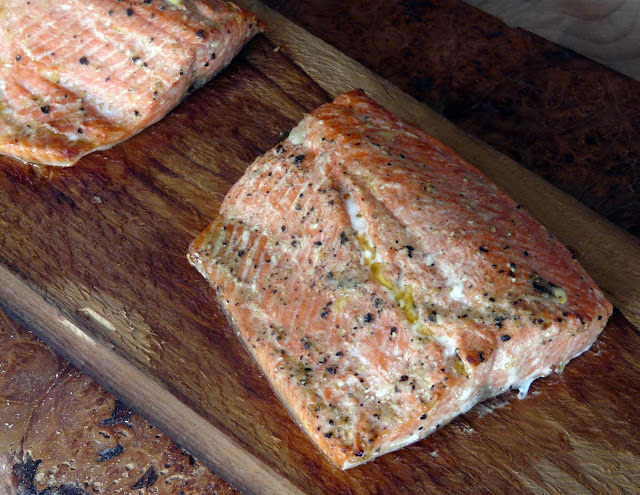 The cedar plank was left to soak for about three hours before being topped with the fillets. The grill was preheated on high and then lowered to medium high. 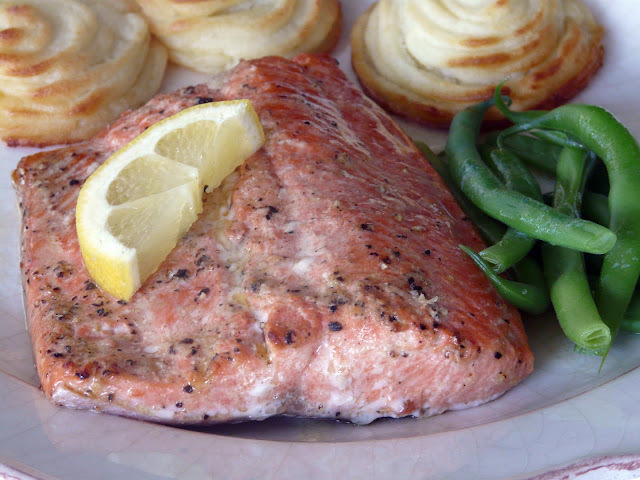 The fish only took about 12 to 15 minutes too cook. There is enough salmon leftover to make Moe a couple of Salmon Patties. Ellerinize, emeğinize sağlık. Çok leziz görünüyor. You've got to love friends who bring gifts like salmon! Lovely! I have been wanting to cook with cedar planks for a while now! May give it a go this weekend. Your pictures always look so amazing! I am hopelessly behind in reading food blogs. I'm spending a lazy Sunday trying to catch up on hundreds of recipes! 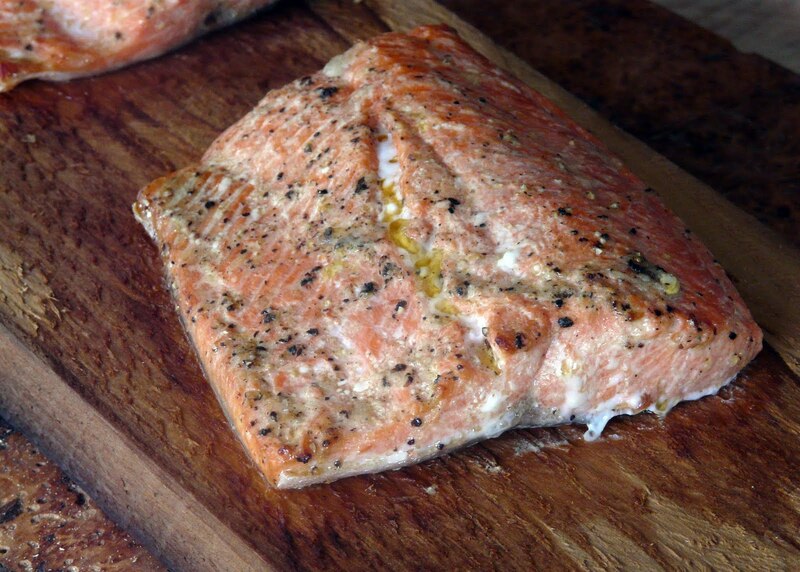 I am anxious to try planked salmon. 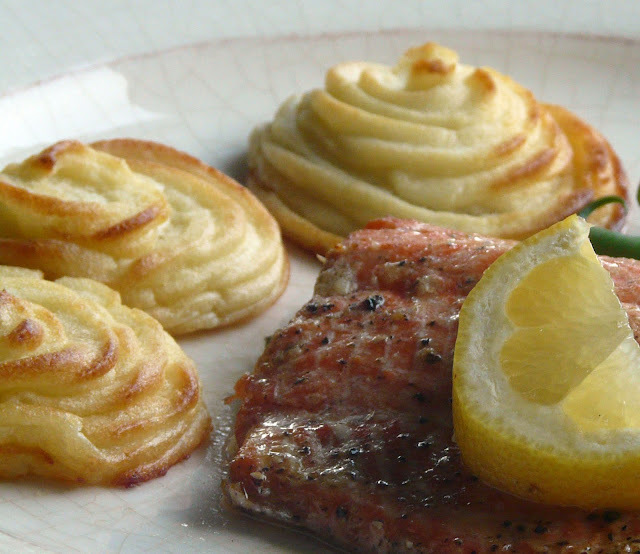 But, the Duchess potatoes... so pretty. Um, how'd you make them? 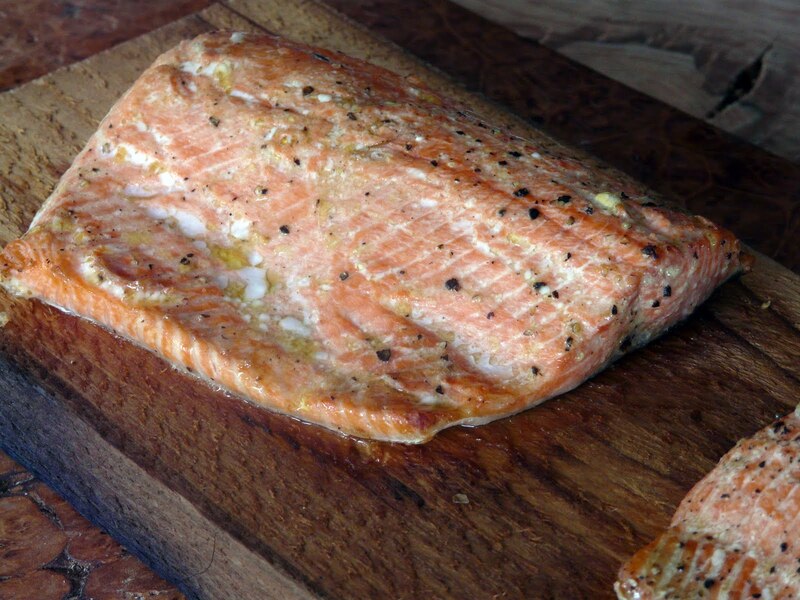 I've had a cedar plank forever & have never used it (not a salmon fan, but thinking of using it for pork). Those potatoes look wonderful, I had to google them to find out more.